See the gallery below for more photographs. Early morning at a boat ramp brought out a couple of interesting vehicles with some very notable features. The GMC Suburban 2500 Sierra Classic pictured above uses a naturally-aspirated 6.2 liter Detroit diesel for motivation. This particular engine produced 130 horsepower at 3600 rpm and 240 pounds-feet of torque at 2000 rpm during the time of its introduction while later models gained 13 horsepower and 17 pounds-feet of torque. A two wheel drive half-ton suburban from 1985 could achieve 15 MPG in the city and 22 MPG on the highway while a comparable Suburban equipped with the five liter V8 could muster only 12 MPG in the city and 16 MPG on the highway, showing the more economical nature of the diesel. Diesels were connected to a three speed automatic or a four speed manual. Suburbans of this iteration had a lengthy production beginning in 1973 and concluding in 1991, outlasting the rounded-line pickups by four years. 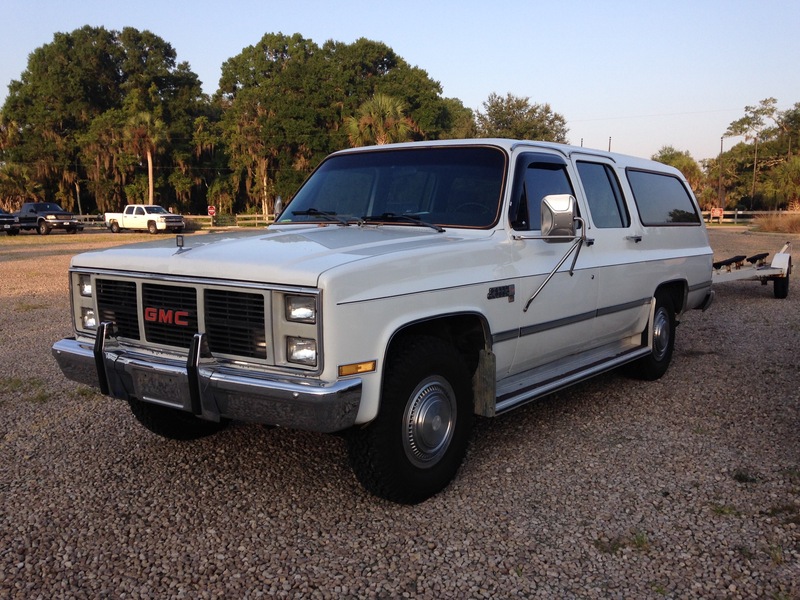 This example of GM’s giants was extremely clean, with nearly flawless paint and trim, and no rust to be seen. Behind was an empty trailer, showing that this beauty is still hard at work. Parked nearby was this battered Dodge Ram pickup optioned with the Club Cab. The first extended cab Dodges ran from 1973 to 1983, although it returned unchanged for 1991 until the 1994 redesign. This was the first extended cab offered in an American pickup, giving Dodge costumers a good compromise between the three seater regular cab, and the big crew cab available only on heavier duty trucks. 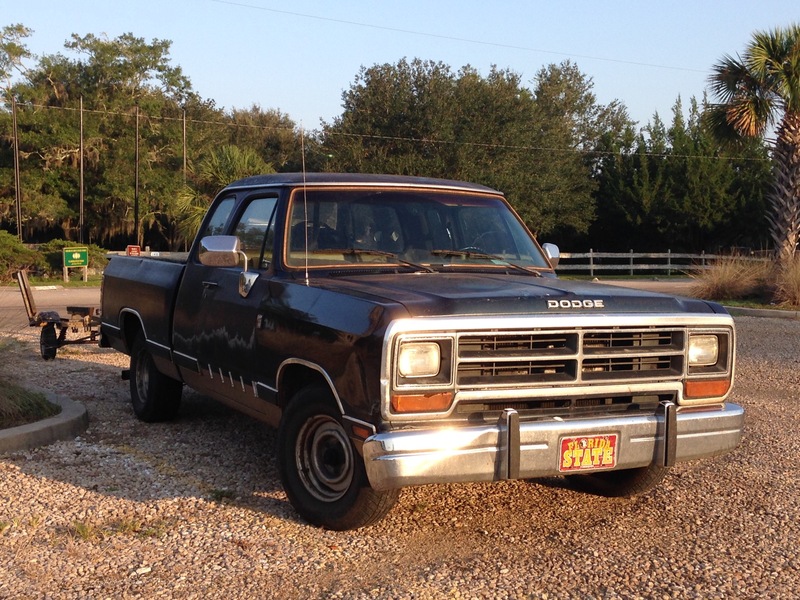 This Dodge could be an ’81, ’82, or an ’83 due to the fact it has the revised styling that came with the change to the Ram name. The proven slant-six, a 239 cubic-inch V8, a 318 cubic-inch V8 and a 360 cubic-inch V8 made up the range of power plants. This example was looking quite worn with sun damaged blue paint, missing trim and areas of exposed primer, however this only added to the purposeful look possessed by most old domestic pickups. Examining automobiles of the past and present.